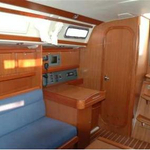 Jonathan Blue is a name of boat Dufour 325 Grand Large ,which has been built in 2006. 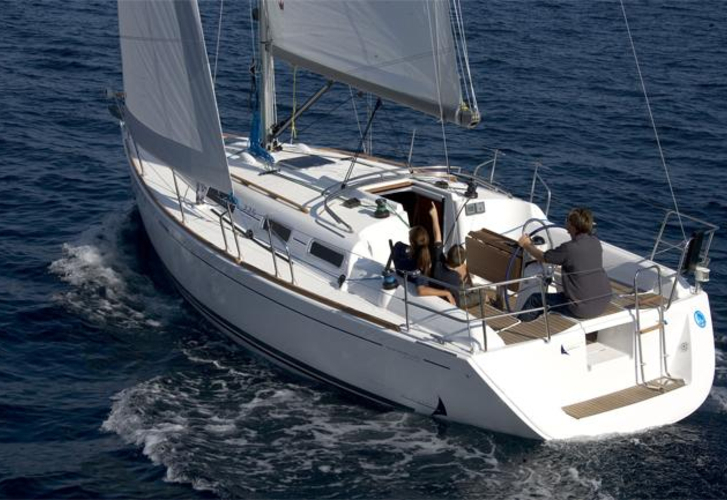 You can charter this sailboat from port Portorož in the region: Primorska. Jonathan Blue is furnished with 4 sleeping places. 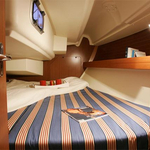 Beds on the sailing boat are configured in 4 +2 scheme. 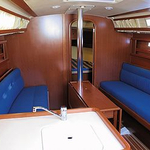 2 cabins are situated inside the sailboat Jonathan Blue. 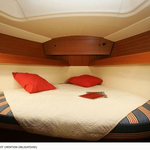 You can get different boats in section: Yacht charter Primorska. 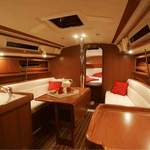 Passengers can feel good on this yacht , because there are 1 toilettes for their disposal. With 90.00 l liters in diesel tank you can sail really far and still be independent because of 160.00 l l. in tank for water. Jonathan Blue is powered by engine 19 hp. Boat's dimensions are: lenght overall - 9.80 m , width - 3.40 m and 1.55 meters of draft. 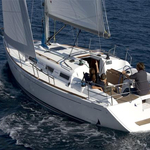 On the vessel there is following equipment: Mainsail with lazy jack, Bimini top, Teak cockpit, Dinghy, Autopilot. . Nonrefundable deposit has value 1000.00 EUR. 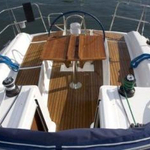 In our search engine you can quickly check avalailability of boat Jonathan Blue from Portorož right here: Yacht charter Slovenia.